BRAND-FIRST Industrial Grade branding tools are custom built to order and tough enough for the harshest production environments. Designed and built for larger branding heads (4" x 4" and up). These tools are equipped with our SURE GRIP "D" handle and cool barrel for 2 hand operation. Tools are available in 110/115 or 220/240 volt. Standard solid logo heads are engraved approximately 1/4" deep. 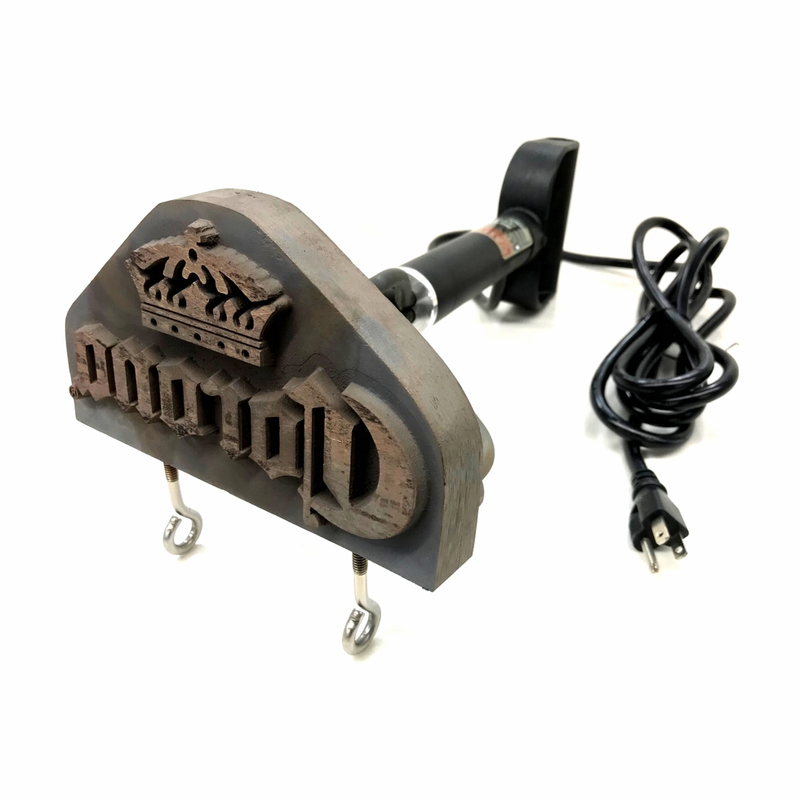 OPTIONAL: Interchangeable logo head tool includes one engraved logo plate that simply screws to branding tool heat block. Additional logo plates may be purchased separately.